… or, how one thing leads to another. I walk into a shop in Hexham and announce to the lady behind the counter – “I am interested in your bust” – pregnant pause – “Ah, yes sir, you mean the one in the window”. Smirking like a schoolboy, “But of course, what else”. That’s more or less how it happened which goes some way to explain why our house resembles a Scandi Noir crime scene (and that came from an exchange with the wonderfully creative Katherine Anne Griffiths at Photobooth Journal). To explain – there is a torso in the bedroom created by Dennis Kilgallon and the aforementioned bust. In the second bedroom there is half a head attached to the wall, a cast from a statue at either Belsay or Wallington Hall, I forget which. In the lounge there is another bust and in my study/playroom, a pair of lips act as a paperweight. The inspiration for pinhole photography came from fellow Blipper – Flashcube. PS – in conversation with a local, I learned they are known locally as Eb and Flo. Opinion is still divided; this particular resident would have preferred a miner and fisherman. 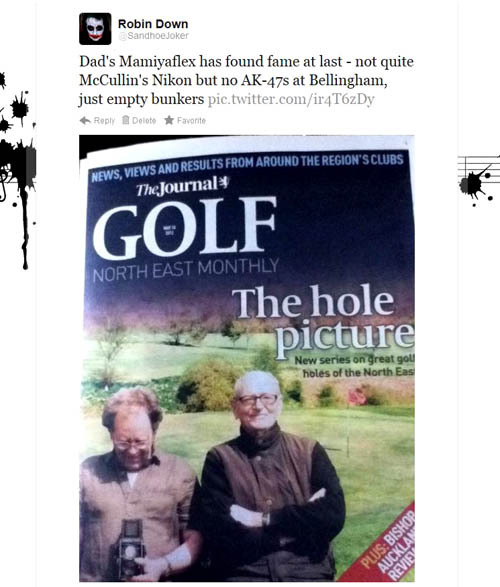 My Dad’s Mamiyaflex has found fame at last on the cover of the Newcastle Journal’s golf supplement. 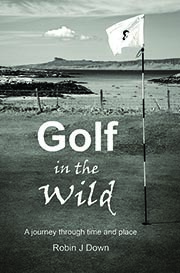 Not quite as iconic as McCullin’s Nikon F but then the bunkers at Bellingham were empty. This is ‘photographic irony’ – the Bellingham photos which feature in The Journal (cover and inside) were taken with a Nikon DSLR up a 5M Pole – try putting the Mamiyaflex in a similar place and the camera would probably take flight!